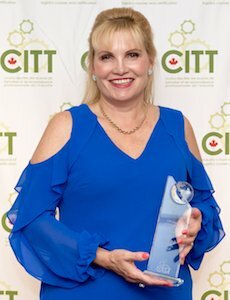 VANCOUVER – Beverly Jones, CCLP, has been awarded the annual CITT Award of Excellence for 2018. The award is given to a CITT-Certified Logistics Professional (CCLP) designation holder who has demonstrated career-long excellence and leadership in supply chain logistics, as well as notable involvement in CITT. Jones, who is manager of sales for central region at FedEx Trade Networks, started working towards her CCLP designation when she was 22. “I wanted credentials to gain credibility. Coming into a male-dominated industry, I thought ‘who is going to listen to a 22-year-old woman? It’s been critical in my career; to know I hold the designation is so positive and it keeps me on top of the pile. Jones enjoyed the program, and was invited to facilitate CITT courses, which she has been doing for over 20 years. 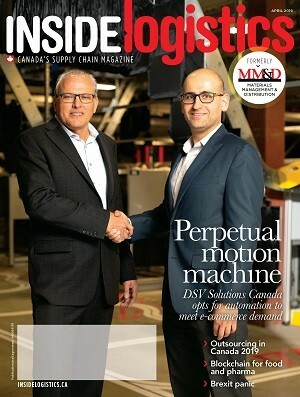 “It helps me give back to the industry, to stay involved and connect with other professionals in the sector, and keeps me current. My biggest professional accomplishments are always when I see my team succeed, so seeing people come through the program and grow is so rewarding, and keeps me engaged,” she said.